SHOW MOVED: due to unforeseen circumstances, the Frederick show at Cafe Nola on Friday, April 24th had to be canceled, BUT GOOD NEWS! Mums Bar in Federal Hill was awesome enough to let us move the show there. 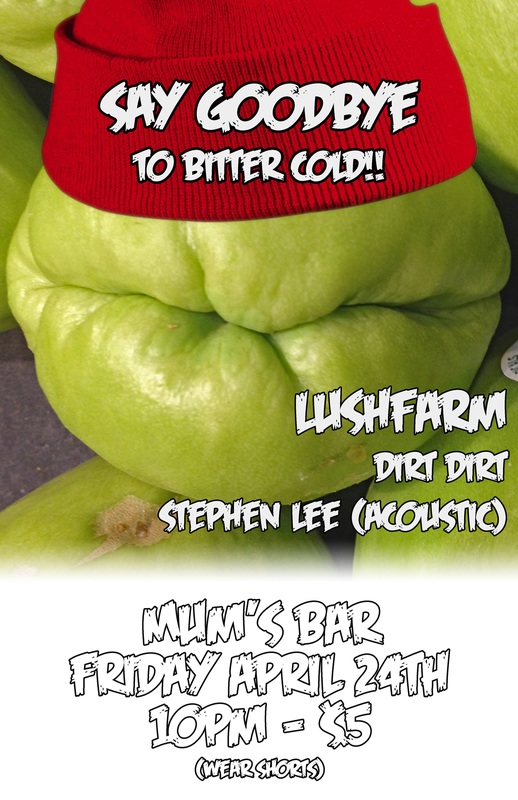 It's with our pals Dirt Dirt (Philly) with Stephen Lee opening solo-acoustic. Come join us after the O's whoop up the Red Sox!